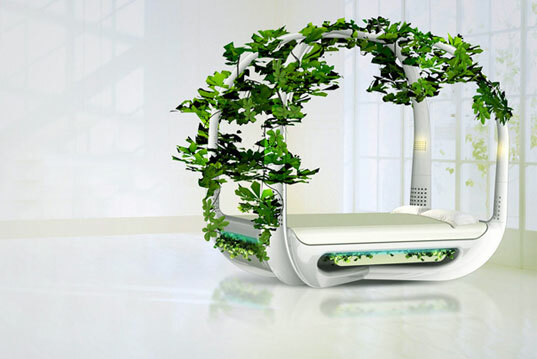 Called a “Green Bed”, this is one bed for the eco-friendly seekers. The Ecotypic bed comes with LED reading lights along with speakers to ensure that people will be woken up sensibly and in style. 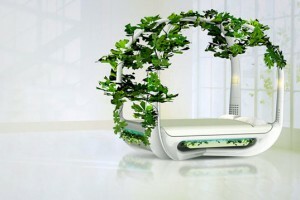 It features a flower box for lovely vines while LED lighting also aids in making them grow. The bed comes with a battery which turns the activities you do on the bed and around the bed into energy. Fun, healthy exercise around the bed with straps and pulleys and all that good stuff.